SEAMAN JOB INFO - Posted/Feb/2019 Crossworld Marine Services, Inc. 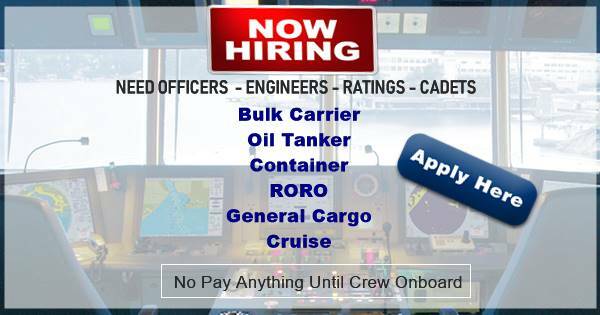 Opening vacancy to Filipino seafarers for joining on Bulk Carrier, Tanker, Container, RORO Vessels. Established in 1991, Crossworld Marine Services Inc creates the environment for successful crew operation by building a Client Account Profile based on their specific needs catered by a dedicated team. 0 Response to "Need Crew For Bulk, Tanker, Container, RORO Vessels (Philippines)"